We are a marine energy consultancy acting on behalf of clients as owner engineers for their submarine electricity cable and pipeline projects, complete with in-house geotechnical, geophysical, geological, project management, QHSE and geospatial experts. We are the leading provider of market intelligence services and products to the renewable offshore energy supply chain. We also provide risk mitigation and analysis supporting offshore finance/insurance and government agencies. 8.2 Consulting AG brings together experts with decades of experience and young thinkers dedicated to ensure the enduring value of renewable energy projects. We are part of the 8.2 Group, a network of technical specialists which was created in 1995 in Germany. Today it counts 32 international engineering offices covering all areas of technical expertise within the renewable energy sector. 8.2 Consulting AG is a major player in the German offshore wind industry and since 2006 active in more than 80% of the German projects. We hold valuable knowledge regarding production, installation, commissioning and operation of offshore wind farms. We provide a wide range of technical consulting services and inspections for on- and offshore wind, grid integration and biogas projects. From the initial tender process to quality assurance towards periodic inspections, our services cover the entire project life cycle. In the field of HSE we contribute with our wealth of experience to the safety in wind projects. The technical expertise in wind energy of the 8.2 Group relies on the technical inspection of more than 35 000 wind turbines in the world. The hands-on experience gathered in these inspections allows us to bring to our customers a real practical vision on our consulting services. The experts of the 8.2 Group are cooperating in certification bodies, committees, advisory boards and quality initiatives and are contributing to the further development of standards and guidelines as well as examination methods. Acoem AB develops manufactures and markets laser-based measurement instruments for shaft alignment of generators in wind turbines under the brand name Fixturlaser. Our systems are characterized as user-friendly tools that minimize the number of steps in the alignment process. Guided user interface, preset configurations for different wind turbine models and tailor made fixture packages makes it possible to speeding up the process – Express Alignment by Fixturlaser. APPA established in 1987 is the only Spanish renewable energy association comprising all kinds of renewable technologies. Today APPA counts more than 350 members within nine different technology sections (wind energy,PV, hydro power, high and low temperature geothermal energy, biomass, biofuels, marine energy, small wind power and self-conssumption). APREN was created in 1988 as a voice of independent producers of RES electricity. APREN develops its work together with official authorities and associations at national and international level participating in the development of energy policies. Cluster de Energía del País Vasco (CEPV, Basque Energy Cluster) is a non-profit organisation set up in 1996 to improve competitiveness of Basque energy companies through innovation and international collaboration. CEPV integrates the main players of the energy supply chains: big companies SMEs research entities and universities, as well as public administration entities. Bureau Veritas is a leader in testing inspection and certification and offers a range of services to the wind industry. Bureau Veritas experts support projects for their whole life cycle including certification inspections technical advisory QHSE and project mgt. Bureau Veritas has 75000 staff in 140 countries. The National Renewable Energy Centre of Spain (CENER) develops applied research in renewable energies, and provides technological support to companies and energy institutions in six areas: wind, solar thermal and photovoltaic solar energy, biomass, smart and efficient buildings and districts, and grid integration of energy. CENER is a technology centre with worldwide recognised prestige, activity and experience. Centrale Nantes is a public institution with a scientific, cultural and professional vocation. It is endowed with legal personality and pedagogical, scientific, administrative and financial autonomy. In keeping with the traditions of French Engineering schools (grandes écoles d'ingénieurs), Centrale Nantes, founded in 1919, trains versatile engineers to a very high scientific and technical level. Equipped with a strong managerial culture, they are capable of placing scientific subjects into a global context incorporating environmental and societal issues. Research at Centrale Nantes centres is focused on three major issues for growth and innovation: The reindustrialization of France, energy transition and healthcare. Energy transition is both an environmental obligation and a lever for industrial development. Development of these renewable energies, such as marine energies, requires breakthrough innovations in energy storage and transport systems. The school's research activities on engine systems and the reduction of polluting emissions serve as a support for multidisciplinary training. Since 1982 at COORDINADORA we have focused our knowledge and efforts to create for each project an optimal operational plan minimizing the risks and investment in transport. ETM is a set of techniques, concepts and specialized knowledge that are applied during the whole process of transportation. These capabilities take into account the big picture as well as considering the important smaller details. ECN (Energy research Centre of the Netherlands) is the Netherlands flagship R&D and services center for sustainable energy technologies. In the field of wind energy, ECN is a true pioneer and technical authority. It’s internationally leading position has been built up through 40 years of dedicated investment and experience. At ECN, in-depth knowledge of the whole wind power plant system is combined with world leading full scale test facilities and accredited measurement experts. TNO is an independent research organization. The TNO-law gives us a number of special tasks and frameworks and linking it to specific conditions under which we have to perform our work. Today, ECN part of TNO wind energy’s core mission is to reduce the cost of offshore wind energy. This is achieved by applying innovative solutions in the industry and driving ground breaking R&D forward. ECN supports companies at the design, implementation and operational level. ELA Container Offshore GmbH provides stand-alone offshore accommodation containers for rent and sale such as temporary living quarters, offices, drying containers, mess rooms, galleys, laundries, recreation and locker rooms. All containers are 'made in Germany' and have the CSC DNV 2.7-1/EN 12079-1 offshore certification approved by DNV GL. Endiprev is an international reference providing technical services on wind turbines both onshore and offshore. Global presence and close partnership with Wind Power Original Equipment Manufacturers, Endiprev has experience of +3GW of commissioning and +2GW of maintenance in more than 30 countries and 7 offices in China, Ethiopia, Germany, Netherlands, Portugal, Spain, and USA. enercast is a leading technology provider for applied artificial intelligence and the digital transformation of renewable energy. Its self-learning software-as-a-service products deliver accurate power forecasts for wind power and solar plants, thus enabling the integration of renewable energy into power grids and energy markets worldwide. The enercast platform for the industrial application of artificial intelligence and big data supports the decision processes of customers from the energy sector and essential industries, fulfilling enercast’s promise: “Weather insights that put you in control”. Founded in 2011, enercast is headquartered in Kassel, Germany and delivers 100 million forecast data points to 20 countries around the globe every day, covering 80 GW of installed capacity. We are a global energy and services group, focused on three core activities : low-carbon power generation, mainly based on natural gas and renewable energy; global networks and customer solutions. Driven by our ambition to contribute to a harmonious progress, we take up major global challenges such as the fight against global warming, access to energy to all, or mobility, and offer our residential customers, businesses and communities energy production solutions and services that reconcile individual and collective interests. Our integrated - low-carbon, high-performing and sustainable - offers are based on digital technologies. Beyond energy, they facilitate the development of new uses and promote new ways of living and working. Our ambition is conveyed by each of our 150,000 employees in 70 countries. Together with our customers and partners, they form a community of imaginative builders who invent and build today solutions for tomorrow. Norwegian-based energy company with operations in over 30 countries. Equinor have built a global business with strongholds in Europe Africa North America and Brazil. We have developed a portfolio of new energy solutions currently delivering wind power to 650000 British households. FloatMast Ltd is a company aiming to provide measurement solutions to the offshore industry. Our primary aim is to provide Bankable Wind Resource Measurements through our innovative FloatMast platform. In addition according to our clients’ needs we provide also high quality and reliability oceanographic and environmental monitoring services. It combines the Tension Leg Platform stability and industry acceptance, with the met mast’s cup anemometer bankability and the Lidar’s capabilities, all in a single service. It has no limits in the depths where it can be deployed and in addition it can be redeployed, thus providing added value to the initial purchase. Moreover, all the above benefits come for a price which represents only a fraction of the conventional gravity based met mast. ForWind is the joint Center for Wind Energy Research of the Universities of Oldenburg Hannover and Bremen. As a scientific headquarters ForWind bundles wind energy research activities from the universities into a broad spectrum within the areas of physics and engineering. ForWind conducts fundamental and applied research in wind energy. The French Wind Energy Association (FEE) - France Energie Eolienne - was founded in 1996. It regroups over 300 companies who built 90 per cent of installed wind turbines in France and operate more than 85 per cent of them in France. GCE Subsea strengthens innovation and internationalisation of the Norwegian subsea cluster. GCE Subsea is an industry driven initiative for strengthening and internationalisation of businesses, research and education. We represent the world’s most complete cluster for subsea life-of-field solutions. Our goal is to increase the cluster’s competitiveness and global market share, and take a leading position in sustainable utilisation of ocean resources. Norway’s subsea industry has succeeded due to hard work, innovation and collaboration. Over time its companies and R&D institutions have developed great expertise that enables us to challenge each other and face common issues together. Green Giraffe is the premier financial advisor for renewable energy projects, providing multi-disciplinary services including project & structured finance, contract negotiation and management, M&A and legal expertise, always with the objective to help our clients finance their project or transaction. Green Giraffe's 70+ professionals in Paris (France), Utrecht (the Netherlands), London (UK), Hamburg (Germany), and Cape Town (South Africa) have helped raise over EUR 20 billion of funding for the sector and contributed to the financing of over 120 renewable energy projects in 30 countries with a combined capacity of ca. 30 GW. Hempel is a world recognised supplier of protective coatings for all parts of a wind turbine. We are present in all relevant wind regions and can support your operations wherever needed. Hexicon is a Swedish design and engineering house developing floating multi-turbine platforms. Our patented technology enables the platform to align with the wind direction maximising energy yield from free wind for its turbines. This enables efficient harvesting of the best offshore energy resources further offshore in deeper waters. Holmatro has developed produced tested and delivered hydraulic tools and systems since 1967. As an original Dutch company our ambition is to find result-orientated solutions that combine working with extreme forces with controllability user friendliness and safety. For offshore wind applications we offer a wide range of hydraulic solutions. Since the introduction of our TP levelling set in 2009, we have significantly expanded our product range. Besides hydraulic solutions to level wind turbine foundations, we have proven ourselves in the field of TP fixation, jacket fixation, cutting applications, seafastening equipment and skidding solutions. Our tools are also used for lifting, weighing and levelling applications. The options are endless. 1) companies and organizations active in the entire supply chain of wind energy, such as manufacturers, equipment traders, services providers, investors, developers , research centers and institutes etc. 2) individuals, professionals, business executives, scientists, researchers, academics etc. 2) tries to effectively express the well-meant interests of the industry and the market by acting as a think-tank and dialogue forum with scientific documentation and competence. IDEOL’s team of engineers has developed a floating foundation for offshore wind. Its Damping pool® technology will equip France’s first offshore wind turbine as well as the upcoming Japanese offshore demonstrator. IDEOL’s highly competitive solution is recognised worldwide as a game changer particularly suitable to the increase in turbine sizes. KIC InnoEnergy is the European company that promotes innovation entrepreneurship and education in the sustainable energy field by bringing together academics businesses and research institutes. We create future game-changers with a different mind-set and bring innovative products services and successful companies to life. InnoEnergy receives support from the EIT. Our design, manufacture and installation process are certified in UNEEN ISO 9001: 2000, and all of our products comply with the regulations of security and quality of the European Union. Our headquarters are located in Pamplona (Spain) and Querétaro (México). Steel fabrication yard supporting offshore oil & gas, offshore renewables and civil engineering sectors. Jumbo is a privately owned company owning a fleet of specialised offshore transportation and installation vessels which are operated worldwide in the oil and gas and renewable industry. In recent years Jumbo became increasingly active in the offshore wind industry having installed many hundreds foundations for the largest offshore windfarms to date. MaREI is the marine and renewable energy research, development and innovation Centre supported by Science Foundation Ireland. It combines the expertise of a wide range of research groups and industry partners, with the shared mission of solving the main scientific, technical and socio-economic challenges across the marine and renewable energy sectors. MaREI is coordinated by the Environmental Research Institute (ERI) at University College Cork and has over 200 researchers working across 6 academic institutions collaborating with over 45 industry partners. The MaREI Centre conducts fundamental scientific research relating to marine and renewable energy applications and enables the development and testing of technology through to the construction of demonstration systems. MaREI offers unique world class MRE testing infrastructure, state-of-the-art structural laboratories, novel prototypes and measurement equipment that allow the systematic identification and reduction of development risks through a structured TRL development cycle. This, combined with the technical competence of its employees, makes it a preferred research and development partner for companies and research institutes across the world. Our specific strength is our ability to work in interdisciplinary teams and combine insights to allow a wide spectrum of research and development services. MECAL has offered independent expertise in wind energy for more than 20 years. We support WTG manufacturers, developers, utilities and financers to maximise their return on investment by development of technology, improvement of asset performance and operation and consultancy on wind farm development. The Met Office is a world leader in integrated forecast and climate services. We offer end-to-end windfarm consultancy services for site analysis and construction through to operations and maintenance and wind power prediction. Our scientists employ advanced forecasting and climatological modelling techniques to help optimise your windfarm assets. As the world’s premier test and simulation solution provider, MTS stands uniquely qualified to deliver the advanced mechanical testing technology and systems integration expertise needed to improve wind turbine reliability and durability. MTS solutions are deployed worldwide, simulating the extreme loading environments of turbine blades, drive systems, bearings and more. NAVAL Energies is a world leader in Marine Renewable Energies and a supplier of turnkey energy generating systems. Naval Energies’ policy aims at designing solutions that allow a competitive cost of electricity produced from the ocean while focusing on areas where the company’s technological edge will make a difference. manufacturing, installation, connection and maintenance, with technologies respecting the environment, at sea and in coastal areas. Njord Offshore Ltd. manages Crew Transfer Vessels for the Offshore Windfarm Sector. Our head office is based in Tendring UK and our operations extend throughout Northern Europe. We aim to deliver the highest service to our Charterers through well designed and maintained vessels operated by well-trained and pro-active crew. Building on 40 years of knowledge and expertise in aviation obstruction lighting Orga Aviation leads the industry in smart and innovative cost-efficient solutions for marking wind turbines and other high-rise structures that occupy airspace. OWI-Lab is the Belgian research, development and innovation (RD&I) lab for wind energy embedded in Sirris. This platform is supporting innovation within the full value chain of wind energy but is focusing on the emerging sectors of 'offshore wind energy' and wind energy in harsh environments as ‘cold & hot climate wind energy’. The aim of our RD&I projects is to reduce investment and O&M costs, and make the technology and operations more efficient and reliable as possible to compete with traditional energy sources . To do so we collaborate in a strong partnership with the University of Brussels (VUB), University of Ghent (UGent) and others. OWI-Lab facilitates also test & measurement infrastructure (large climatic test chamber, corrosion testing, vibration measurement & monitoring systems,...) and is coordinating the IBN Offshore Energy cluster – a Belgian innovation network of companies and knowledge centers that work on wind energy RD&I in an open innovation context. Pondera is the specialist in the field of renewable energy. We focus on creating an optimal balance between sustainable energy needs, environmental impact and social acceptance. The Port of Grenaa (Grenaa Havn A/S) is one of the biggest commercial and industrial ports in Denmark, centrally located and with plenty of space for development. Strong focus on core segments and excellent network connections make the Port of Grenaa the foundation on which to realise the potential of your business. We make every effort to support the ideas and business of your company, with strong industrial political backup. Principle Power, www.principlepowerinc.com, founded in 2007, is a technology and services provider to the offshore wind industry. Principle Power’s innovative and proven technology, the WindFloat – a floating wind turbine foundation – provides access to transitional and deep-water offshore wind sites. This unique technology assists the ongoing development of the offshore wind industry as whole, opens new deep water markets, and has the potential to substantially decreases the cost and risk profile of offshore wind projects. 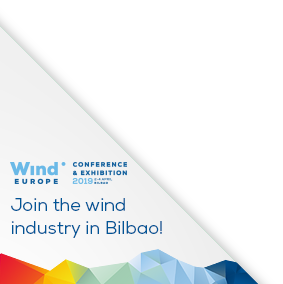 Principle Power, with offices in the USA, Portugal and France, sells the WindFloat as a technology solution and acts as a service provider to developers, independent power producers, and utilities engaged in the rapidly expanding global offshore wind market. RAD Torque Systems is a leading manufacturer of electronic and pneumatic torque wrenches. E-RAD electronic torque wrenches have digital torque settings and are accurate to +/- 3 per cent. E-RAD torque wrenches have torque/angle features as well as bolt data collection for quality assurance and traceability. Saitec Offshore Technologies is a spin-off from Saitec Engineering, created around SATH, the most competitive floating technology. This company is launched into the market to offer a game-changing solution to current offshore wind issues, by removing the barriers related to water depth. LCOE Reduction, Reliability, Project De-risking or Local Content are just some of our drivers while designing today’s and tomorrow’s Offshore Wind Solutions. International economic development arm of the Scottish Government. SDI assists Scottish wind energy companies to trade overseas and is also the main contact point for overseas companies looking to access the Scottish wind energy market.